The massacre of 22 people—12 doctors, nurses and other medical personnel, along with 10 patients, three of them children—in Saturday’s airstrike on the Doctors Without Borders/Médecins Sans Frontières (MSF) medical center in Kunduz, Afghanistan is an appalling war crime for which the US military and Obama administration are responsible. On Monday, the top US commander in Afghanistan admitted that a US warplane carried out the deadly attack, while seeking to shift the blame onto Afghan puppet troops for calling it in. “An air strike was then called to eliminate the Taliban and several civilians were accidentally struck,” Gen. John Campbell told a Pentagon press conference. This account is at odds with the Pentagon’s initial story that US special forces troops had come under fire and called in the airstrike. The plane involved was an AC-130, nicknamed the “Angel of Death,” a huge, slow-flying aircraft equipped with multiple cannons, rockets and bombs that is capable of circling a target for long periods, delivering devastating firepower. The Pentagon has boasted about this flying fortress’s ability to strike targets with “pinpoint accuracy,” in this case a huge, well-marked hospital. Survivors of the attack described horrific scenes, with patients burning in their beds and doctors and nurses covered in blood from multiple grievous wounds. Similarly, the acting governor of Kunduz, Hamdullah Danishi, told the Post, “The hospital campus was 100 percent used by the Taliban. The hospital has a vast garden, and the Taliban were there. We tolerated their firing for some time” before responding. These statements constitute an “admission of a war crime,” MSF General Director Christopher Stokes said Sunday. They “imply that Afghan and US forces working together decided to raze to the ground a fully functioning hospital with more than 180 staff and patients inside because they claim that members of the Taliban were present,” he said. MSF has categorically denied that any armed Taliban were present in the hospital and reported that it had repeatedly advised the US military as to the location of the hospital, which has operated in Kunduz for years. The most plausible explanation is that the US military and its Afghan forces decided to attack the hospital because of its well-known practice of treating all in need of care, including wounded Taliban fighters. Such an atrocity is meant to send a message: anyone who aids an enemy of the US military forces occupying Afghanistan will die. The attack is further evidence to be used in future war crimes trials. During its nearly seven years in office, the Obama administration has doubled down on the atrocities carried out by its predecessor. Tomorrow marks the 14th anniversary of the October 2001 US invasion of Afghanistan. The Pentagon dubbed America’s conquest of the impoverished country straddling the strategic regions of Central and South Asia “Operation Enduring Freedom.” It would have been more accurate to call it “Operation Enduring Slaughter.” According to the extremely conservative estimate made by the United Nations, over 19,000 civilians have been killed in Afghanistan since 2009 alone. Meanwhile unemployment has peaked at 40 percent, while the poverty rate is roughly the same. Social inequality has risen dramatically, as Afghanistan’s US-backed kleptocracy pockets the lion’s share of foreign aid money. These increasingly intolerable conditions have forced many to flee, with Afghans making up 13 percent of the refugees attempting to reach Europe, second only in number to those escaping Syria. Sold to the American people as revenge for the 9/11 attacks, the war grinds on 14 years later with the US military continuing the slaughter of innocent Afghans for the purpose of keeping a corrupt and impotent puppet regime in power. 14 years later, with Washington in a de facto alliance with Al Qaeda in Syria, and amid a steady ratcheting up of tensions with Russia and China, this assessment has stood the test of time. 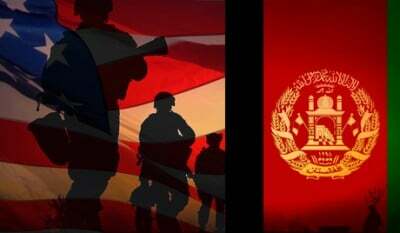 The war in Afghanistan has turned into a debacle, one of US imperialism’s own making. Washington’s earlier intervention in Afghanistan, directed at toppling the Soviet-backed government in Kabul beginning in 1979, saw billions of dollars in arms and aid funneled to Islamist guerrillas that included those who formed both Al Qaeda and the Taliban. This effort ravaged Afghanistan, killing over one million and turning five million more into refugees. The response to the fall of Kunduz to the Taliban will inevitably be another escalation of the US intervention and even more war crimes like that against the MSF hospital. While those immediately responsible for the killing of medical personnel and patients must be held accountable for last weekend’s crime, the far greater criminals are those in the Bush and Obama administrations who launched and continued this predatory war based upon lies. These political criminals can be brought to justice only through the mobilization of the working class against imperialist war and the capitalist system that is its source.